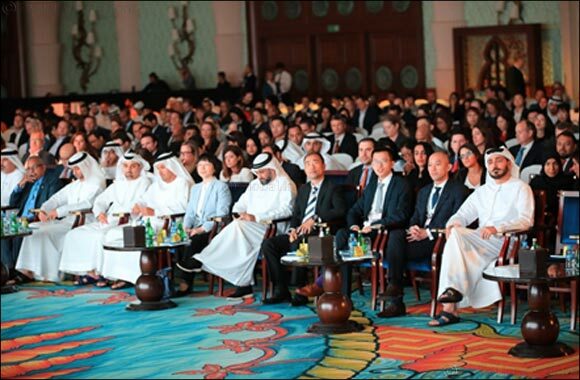 Dubai, 24 September, 2018: Huawei Mobile Services MENA, part of Huawei Consumer Business Group (CBG) has collaborated with Dubai Tourism for the Dubai China Conference 2018 that was held recently at Atlantis, The Palm. At the conference, Huawei CBG announced its strategic service, SkyTone, an inexpensive global mobile data roaming service, dedicated to Chinese Outbound Travellers, which will joint Dubai Tourism to promote Dubai as the destination of choice for tourists in China. “In Huawei, we always approach any service with the customer at front of mind. This customer-centric approach has driven us to keep optimizing ‘SkyTone', which will further promote Dubai as a popular tourist destination, while highlighting the various offers, attractions and services that tourists can access when in Dubai said Justin Chen, Managing Director of Huawei Mobile Services MENA. The SkyTone service provides an inexpensive global mobile data roaming service to Chinese tourists that use Huawei or Honor phones, meaning they will be able access internet from local carriers without having to buy a new SIM card. “Our aim is to bring smarter, more convenient and fun mobile experience to all Huawei users. In addition to SkyTone, we are also devoting to offering enriched services for our MENA Huawei Mobile Users , such as HUAWEI AppGallery, HUAWEI Music, HUAWEI MyCloud and HUAWEI Themes as part of our mobile services that offer an efficient and fun experience for our users in the MENA region. The HUAWEI AppGallery offers users a convenient and safe platform with great rewards, unbeatable experience and unlimited fun. Even the HUAWEI Music application allows users to stream their favorite Arabic and international songs without any advertisements, offering a seamless experience,” added Chen.